AIRIP's leadership is made up of top leaders, analysts, and strategists from major global organizations. They represent a diverse set of experiences and opinions that they will use to lead AIRIP in our continued growth. Ryan began his corporate career at McDonald’s in 2011 as the company’s first intelligence analyst where he helped architect and launch the Risk Intelligence function. He currently serves as the Director of Global Risk Intelligence which provides strategic decision support, issue and crisis management expertise, and threat and risk analysis on issues and incidents of potential impact to the organization's people, operations, strategy, and brand. Before arriving at McDonald's, Ryan was an Army intelligence officer focused on counterinsurgency and counterterrorism operations, serving in both active and reserve capacities including multiple combat deployments to Afghanistan and Iraq. Ryan currently serves in the Army Reserves where he leads a group focused on analytic support to European counterterrorism efforts. A Veteran advocate, Ryan is the Chair of the McDonald’s Veteran Employee Resource Network and a board member of the Veterans Leadership Council, the nation's premier business network for the current generation of Veterans. He also serves as an associate board member for the Greater Chicago Food Depository. Ryan has a bachelor’s degree with Honors in Political Science from the University of Illinois at Urbana-Champaign and a law degree from The John Marshall Law School in Chicago. Elena Carrington manages the travel security and geopolitical intelligence portfolio for Square, a mobile payments company based in San Francisco. Prior to this role, Elena provided strategic and tactical analysis during tenures with United Airlines, the U.S. Department of State's Overseas Security Advisory Council (OSAC), and the International Monetary Fund. She has a bachelor's degree in history and a master's degree in international affairs. Rachel Bode was the founder and first president of AIRIP from 2015-2017. She now sits on the Board. Rachel has deep experience in the intelligence field in the public and private sector. She has worked with the U.S. Government intelligence community on analysis of criminal networks in Latin America, and with two major U.S. corporations to develop and lead intelligence programs to help mitigate loss related to risks to people, product, and reputation. She resides in Minneapolis, Minnesota with her husband and two children. John Goldener is Senior Manager of Enterprise Risk Management at TE Connectivity. John is based in Washington, DC, and is responsible for TE’s Business Risk Intelligence, Insider Risk, and ERM programs. Prior to joining TE, John designed and managed intelligence-led engagements for private sector clients at Crumpton Group, a strategy firm in Washington, DC. Before joining Crumpton Group, John managed The Walt Disney Company's Global Intelligence and Threat Analysis group.In the public sector, John served as an International Security Specialist with the Overseas Security Advisory Council (OSAC) at the US Department of State. Jessica Hern is the Risk Intelligence Manager at 3M, where she manages global risk and threat assessment and mitigation. Prior to joining 3M, Jessica directed the Global Intelligence function at St. Jude Medical where she oversaw global security risk assessment, investigations, incident and crisis management, and threat mitigation. Jessica also worked with the U.S. Government intelligence community on analysis of foreign leadership and information operations. Jessica holds a Bachelor of Arts from St. Olaf College in Northfield, MN and a Master of International Affairs from Columbia University’s School of International and Public Affairs in New York, NY. Marissa serves as the US Territory Crisis Lead for PwC's Global Crisis Center – a global virtual hub of excellence for all aspects of risk and crisis response; a team of crisis experts who access and convene the best skills, experience and knowledge from across our worldwide network of member firms in 157 countries to help organizations prepare for, respond to, and recover from the crises they face. She operates within PwC's Forensics Services/Strategic Threat Management Group, where she is also the operations director, and this vantage point gives her a view across the firm's broad capabilities that can be brought to bear on their clients in crisis. Linda Millis has had a career of nearly three decades in intelligence and national and homeland security issues. Her expertise includes WMD threat assessment, intelligence analysis, program management, domestic preparedness for bioterrorism threats, tracking financial assets of terrorists and protecting critical infrastructure. In addition to her public service, Linda has worked in the private sector to help the business community and government collaborate on homeland security and intelligence issues. While with the Business Executives for Natural Security (BENS), she created an innovative homeland security partnership between business and government, which the White House embraced as a model for the rest of the nation. Previously, as EVP Business Development at SolPass, Linda followed her personal interest and experience to connect the private sector and government organizations in the job of solving cybersecurity issues while protecting privacy and civil liberties.Linda earned her BA in Russian Studies from the University of Maryland and her Master of International Public Policy degree from The Johns Hopkins School of Advanced International Studies. She is an adjunct faculty member for the Biodefense graduate program at George Mason University. Alan Orlob is the Vice President of Global Safety and Security for Marriott International. In his role, he oversees safety and security operations and directs the crisis management program. Prior to working for Marriott, Alan was the corporate security director for Al Ghanim International, managing a close protection detail. He served with U.S. Army Special Forces, both active and reserve for a total of 24 years. Alan recently served as the president of ISMA, the International Security Management Association and is the Chairman of the Orange County Homeland Security Advisory Committee – a public private partnership with the Orange County, California, Sheriff’s Department. He has served as a consultant on hotel security with the U.S. State Department’s Anti-terrorism Assistance Program, and was a stakeholder on a RAND initiative on counter-surveillance. In his role, he has consulted with several foreign governments on hotel security. Following the Mumbai terror attacks, Mr. Orlob testified before the U.S. Senate Committee on Homeland Security in January 2009 and testified before the House Committee on Homeland Security in 2016. In 2013, Alan was selected as one of Security Magazine’s “Most Influential People in Security”. Alan has written several articles on the subject of protecting soft targets in hostile environments and has been interviewed by most major publications and news media. Alan is a member of the Pacific Council on International Policy and is a former committee chairman of the U.S. State Department’s Overseas Security Advisory Council (OSAC). He is a member of the Global Security Advisory Group to the Center for Strategic and International Studies (CSIS). Twenty plus years of experience in the protective security industry and over 20 years as a military officer has uniquely qualified Chuck to take on a typical day’s work of planning, strategic development, tactical deployment, and management of globally sized executive protection, event risk management and intelligence units. Having previously been the Director of Operations for a protective security company with Fortune 500 clients, Chuck has the experience and insight needed to provide Microsoft with top-level protective and intelligence leadership, and the business acumen for corporate budgets and fiscal matters. He is responsible for globally placed teams that produce critical data on which the enterprise relies to enable decision making. Since joining Microsoft in 2000, Chuck has taken on ever-increasing responsibilities and expanded the scope of the services and assets that his teams provides the company. Under his leadership he has transformed the executive protective, event security and intelligence services to function beyond their traditional roles of protection and information provider to that of a strategic enabler. Along with a corporate career, Chuck is a military officer with over 23 years of service. From combat to information operations, he has served in numerous overseas contingencies with distinction and valor. Chuck holds a Bachelor of Science in Political Science with minor degrees in Public Relations and Military Science from Ball State University in Indiana.He is a founding member of the Corporate Protection Leadership Council (CPLC) and the International Protective Security Board (IPSB). Chuck is a noted author and speaker on topics of Executive Protection, Risk and Intelligence Management. He is an avid reader, blogger, martial artist and functional athlete. His most important role, however, is that of father. Dawn Scalici joined Thomson Reuters in 2015 to serve as the company’s first Government Global Business Director and advance Thomson Reuters’ ability to meet the disparate needs of the US Government—working across the company’s business lines and optimally leveraging its vast and unique data, technology solutions, and expertise. Prior to joining Thomson Reuters, Dawn served 33 years with the Central Intelligence Agency, where she had unique opportunities to serve in senior leadership positions in multiple government organizations. In her last federal assignment, she served as the National Intelligence Manager for the Western Hemisphere within the Office of the Director of National Intelligence, and oversaw national intelligence for an area of responsibility spanning from the Arctic to the tip of South America, including the US Homeland. Dawn earlier served as Deputy Under Secretary for Analysis at the Department of Homeland Security’s Office of Intelligence and Analysis and as the Director for Production and Strategic Planning at CIA’s Office of Iraq Analysis. She also spent several years helping to establish the National Counterterrorism Center as a national asset—establishing the Center’s analytic work on al-Qa`ida and its affiliated groups and serving as the Deputy Director for Mission Management to optimize national intelligence related to the counterterrorism mission. Dawn came to NCTC with a strong grounding in interagency work, having earlier served as the Director of Central Intelligence Representative to the National Security Council, CIA’s senior representative at the Department of State, and as a Congressional Fellow. Dawn serves on the Board of Advisors of the Momentum Aviation Group (MAG) and on the Intelligence Committee of the Arms Forces Communications and Electronics Association (AFCEA) and the Homeland Security Intelligence Counsel of the Intelligence and National Security Alliance (INSA). She also serves as Thomson Reuters’ primary representative to the Business Executives for National Security (BENS) and the Government Business Executives Forum. DeNeige (Denny) Watson spent most of her career as an intelligence analyst at the CIA. Denny has been the Executive Director of the RiskDesk at RANE (Risk Assistance Network + Exchange) since February 2015 where she leads a team of analysts who provide integrated global risk analysis and services to clients. Denny also is currently an adjunct faculty member at Georgetown University, where she teaches a course in critical thinking in analysis, as well as George Washington University where she taught a course in data analysis and cyber security. 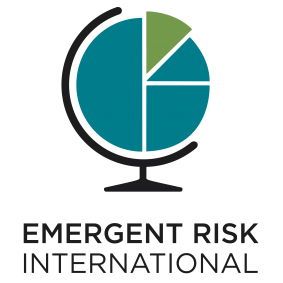 Meredith Wilson is the Founder of Emergent Risk International. She has served as a Political-Security Risk and Intelligence Advisor to executive management and government and has 18 years experience in international environments, the energy sector, major corporations and the US intelligence community. Meredith began her international career in Europe and Asia-Pacific working in industries as diverse as mining and telecoms. While living in the region and observing the impacts of the Asian financial crisis in 1998, Meredith developed a strong interest in the interplay between global economics, politics, and security. Subsequently, Meredith lived in Vietnam and Malaysia and worked for the US Defense Intelligence Agency. In 2007 she moved to the private sector to build a strategic security intelligence program at ConocoPhillips – examining complex political and security issues impacting the company’s operations globally and assessing political -security risk in emerging markets. Subsequently she worked in regulatory affairs before moving on to Kosmos Energy to implement and develop a Political Risk Program. She served as a business intelligence advisor to the National Intelligence Officer for Science and Technology and has provided briefings to high-ranking individuals in the USG and US military. She is a cofounder of the Private Sector Intelligence Council (PSIC), a member of the Board of Directors for the Association for International Risk and Intelligence Professionals (AIRIP), and an Advisory Board member for the Southeastern Analysts’ Roundtable. She has a Bachelor’s Degree in International Relations and a Masters Degree in History. Meredith specializes in the geopolitics of oil and energy related issues, analysis of strategic global issues and their impact on business, and developing effective intelligence programs for private sector organizations. She has broad professional experience working global security issues in Southeast Asia, North and West Africa, the Middle East and North and South America.